Oh no! The Squeebubblians have kidnapped Santa Clause! And Guz the Teddy Bear is missing as well! We know that Guz followed a pair of Squeebubbles from Jonathan Thomas's room, running up a moonbeam. Jonathan Thomas Has followed his friend up the moonbeam, but now cannot find him. While he is looking for Guz he gets the information about Santa's unfortunate situation. This delightful Christmas serial was produced in 1938, the year after the first broadcast of The Cinnamon Bear. 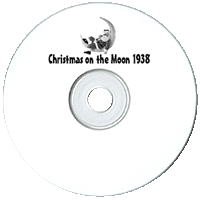 Christmas on the Moon did not enjoy the commercial success of The Cinnamon Bear or Jump Jump and the Ice Queen, but it may be the best written of the three. Part of the reason the Christmas on the Moon was the least popular of the three was that no sponsor choose to associate it with a toy promotion. Our recommendation, especially if you have youngsters in the house, is to share these serials with them through the holiday season. It is tempting to listen to them all in a few sittings, but the best way to enjoy them is to listen one day at a time. 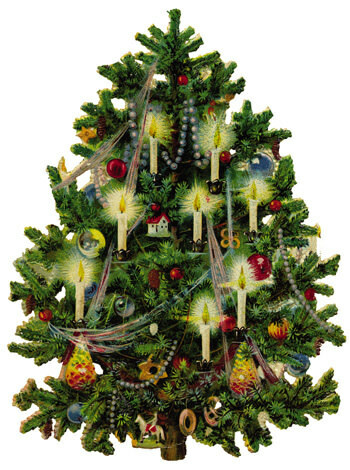 In this way the anticipation of the joyous climax of the holidays is heightened by more than just presents. Listening to serials on mp3 also presents an opportunity for parents who are away from their loved ones over the holidays. An episode a day could be shared over video chat, or even attached to a daily email, helping to bring our deployed soldiers and sailors closer to their loved ones back home.